Meet Featured OUG! Naperville Dog, Ms. Molly! 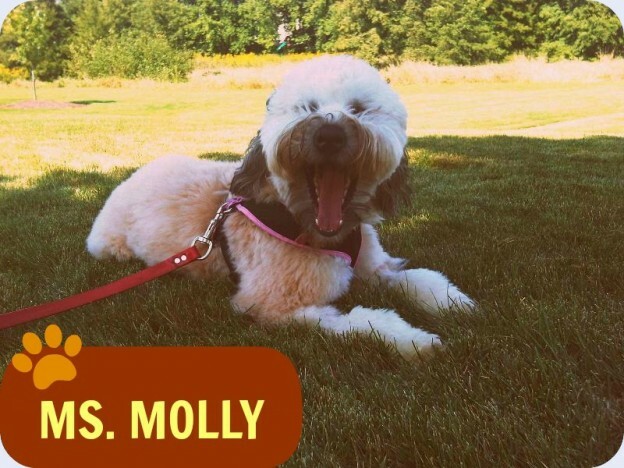 We are kicking off our fourth school year with Naperville dog, Ms. Molly, and we are loving her as much as ever! This happy, silly, “teddy bear” of a girl has nothing but love in her heart and an incredible family to match. Molly had a big summer watching her awesome mama say “I do” and seeing her big brother off to his first year of college. We love you all, and we’re sending big congrats from the Out-U-Go! Naperville family! This entry was posted in Naperville News and tagged dog, dog walking, dog walks, naperville on October 8, 2013 by Laura Rumage.